Australian Meat Processor Corporation chair Peter Noble has decided to finish up after nine years on the AMPC board. In addition to acting as independent chair of AMPC, Mr Noble also spent 12 months as executive chair prior to Peter Rizzo’s appointment in February as AMPC chief executive. A solicitor by profession, Mr Noble has a strong passion for the Australian meat industry, cultivated through his family’s former stake in the GM Scott abattoir at Cootamundra. He was largely responsible for developing the current five-year strategic plan for AMPC, and is credited with leaving AMPC in great shape, both financially and in an operational sense. Mr Noble’s contribution and energy devoted to the role over the past nine years has been recognised by processors this week. Leanne Heywood, a corporate executive and experienced company director with 25 years’ experience in the mining sector, including 10 years with Rio Tinto. Her experience includes strategic marketing, business finance and compliance, and she has led organisational restructures, disposals and acquisitions. Bruce Rathie is a solicitor and experienced company director who joins the board with extensive careers in both investment banking and law. They replace outgoing directors Catherine Ainsworth and Peter Noble. A new chair of AMPC board will be elected in January. AMPC is the RDC supporting the red meat processing industry throughout Australia. Its mandate is to provide research, development and extension services that improve the sustainability and efficiency of the processing sector. Respected Brisbane-based agribusiness solicitor Bill Loughnan has called time on a long and distinguished career. Mr Loughnan has provided legal guidance on many (some would say most) of the largest cattle property transaction deals in Australian history over his 40-year career. In recent years, those have included Western Grazing’s $130 million sales of Rocklands and Tanbar; Paul Szlotkowski’s $47m sale of Wollogorang in the gulf, and Paraway Pastoral Co’s recent purchases. A bush boy by origin, Mr Loughnan grew up on his family’s Mitchell sheep property, before boarding school in Sydney. He spent his early years practising as a solicitor specialising in pastoral industry matters with Cannon & Peterson, before departing 15 years ago with fellow solicitor Peter Kenny, to successfully establish Thynne & Macartney’s new agribusiness division. 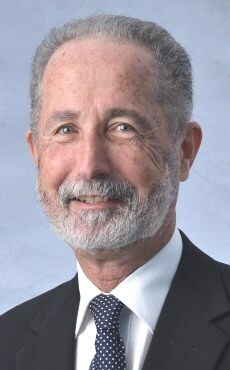 While much of his more prominent legal work has surrounded corporate sales and acquisitions, Mr Loughnan always considered the family-scale cattle operators as his ‘core business.’ His passion for preserving the family-scale cattle unit in Australia was clearly evident in comments he occasionally posted on this website. He retired from law firm Thynne Macartney as chairman of partners, on December 15. Former Hancock Pastoral (Gina Rinehart) cattle operations manager Scott Richardson has joined emerging Wagyu supply chain Stone Axe Pastoral as managing director. Mr Richardson took up his position in November. Stone Axe Pastoral is building an integrated Fullblood Wagyu beef supply chain, including breeding, and prospectively, lotfeeding and processing of Wagyu beef for export and domestic markets, with footprints in Western Australia and New South Wales. The WA-based company in July purchased northern NSW grazing property Glen Alvie, near Ebor, for $17.5 million. Mr Richardson was general manager of beef at Hancock Prospecting for the past 18 months. He has a professional career in agriculture, meat & livestock and the food service industries spanning thirty years. His strong understanding of the complete supply chain saw him involved in ‘paddock to plate’ projects via roles with Craig Mostyn Group, Heytesbury Beef, Landmark, WR Carpenter Beef & Top Cut Foods. 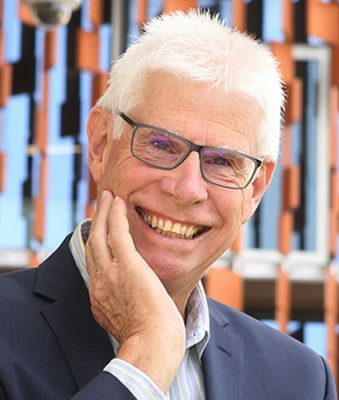 Distinguished animal scientist, businessman and ‘angel investor’ Dr Jay Hetzel has been appointed chairman of UniQuest, the University of Queensland’s commercialisation company. “With a distinguished career in animal genetics and genomics research at the CSIRO and in private business for more than 20 years, Dr Hetzel is well-placed to set the agenda for UniQuest,” he said. Dr Hetzel co-founded Genetic Solutions in 1998, to commercialise genomics technology in livestock. The company was sold to Pfizer Animal Health in 2008. He has more recently worked on commercialising a range of bio-based products in early-stage ventures. Dr Hetzel has also been an angel investor, mentor and/or advisor to more than 20 early-stage and start-up ventures which have set out to commercialise Australian technology. “Our goal at UniQuest over the coming years is to accelerate the translation of research discoveries into useful technologies and to build on the current impressive list of industry partnerships,” he said. Former senior meat manager with Woolworths, Lachie Bowtell, has accepted a new position as chief executive officer for the Australian Institute of Food Science and Technology, the national independent voice and network for Australia’s food industry professionals. Mr Bowtell most recently served as Woolworths fresh food category marketing manager, and manager of in-store butcher shops for the Woolworths Meat Co. Prior to joining Woolies, he spent some years with MLA as domestic market manager and Middle East/North Africa region manager. “Lachlan brings extensive experience and networks in the retail, foodservice and agribusiness sectors to AIFST, which will further assist in building the awareness and positioning of the Institute within the wider food industry,” the AIFST said in a statement. He replaces current CEO, Georgie Aley, who was thanked for her great contribution over the past three years. Mr Bowtell begins in his new role in February. AIFST represents food industry professionals working in all facets of the food industry including food science, food technology, engineering, sensory, new product development, innovation, regulatory, QA, nutrition, microbiology and food safety, as well as those in leadership positions within the academic, industry and private sectors. The Indigenous Land Corporation has appointment Tricia Button as its new deputy chief executive officer – the first Indigenous woman in the organisation to hold the leadership position. ILC chief executive John Maher said the board was pleased to announce Mrs Button’s promotion to the role and looked forward to working closely with her to deliver the ILC’s strategic repositioning agenda in 2018. “Tricia’s appointment signals the renewed focus on our core mandate, as the new board and executive challenges the ILC to reset its agenda to strategically invest in Indigenous-held land to foster prosperity and empowerment for Indigenous Australians,” Mr Maher said. Mrs Button brings a range of leadership qualities to the role, complemented by her extensive experience in indigenous affairs, having spent more than 20 years working for the State and Federal Governments. She joined the ILC in 2015 as the divisional manager of the Eastern Division and was subsequently appointed executive director for program delivery, driving land acquisitions, land management, landholding and land grants nation-wide. As deputy CEO Mrs Button will focus on the operational aspect of the ILC and the organisation’s core mandate to deliver on land acquisition and land management whilst maintaining a strong commitment to cultural and environmental protection of Indigenous assets within its priority sectors of agribusiness, tourism, niche markets, renewables, and urban investment. Mrs Button is a Kungarakan (Finniss River) and Warumungu (Tennant Creek) woman with large and extended family connections throughout the Northern Territory. As a senior businesswomen, she is seen as a role model by her peers and young Indigenous and non-Indigenous women. 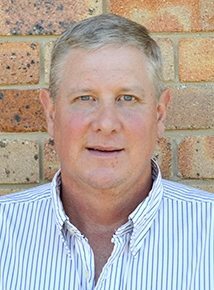 Angus Australia has appointed Michael Beattie as the organisation’s new member services manager. 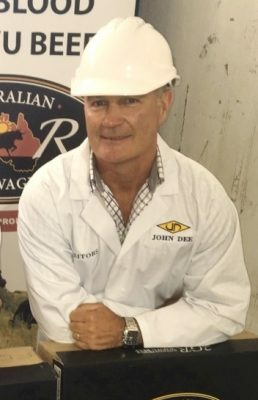 Mr Beattie comes to Angus Australia with a wealth of knowledge in the cattle industry, having worked as the executive officer for the Australian Wagyu Association for six years to 2010, and as executive director for American Wagyu Association for six years after that. Earlier in his career he was responsible for Angus BreedPlan. The board of Western Australia’s Rangelands NRM has appointed John Silver as acting chief executive officer. Mr Silver has a strong background in NRM and commitment to the WA rangelands, having worked for Rangelands NRM for 11 years, including the past seven as operations manager. 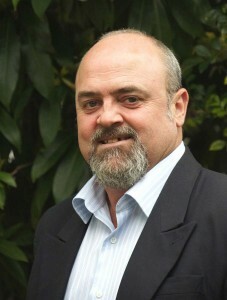 He is well-placed to lead the organisation in the interim and seek future funding through the National Landcare Program. The board thanked outgoing CEO Dr Gaye Mackenzie for her work and contribution to the state’s rangelands over the past seven years.